The theme of the awards was Resilience Landscapes, Natural disasters and extreme weather events had always been affecting cities across various continents all around the world. However, in the last decade or more, the destruction of a city by these forces are felt even more because of the extreme climate change and global warming. From floods, earthquakes, typhoons and hurricanes, extreme drought and even land subsidence issues, these catastrophic events had left many cities in shambles, communities in devastation, and lost of many lives. Besides natural disasters, recognizing the risks of rapid urbanisation such as deforestation, massive housing and industrial development had lead to loss of biodiversity, loss and degrading quality of natural resources, potential spread of disease, unhealthy environment, ecological imbalance, economic and social instability. The theme “Resilience Landscape” could be interpreted by resilience for natural disasters, and/or by exploring urbanisation’s negative effects. 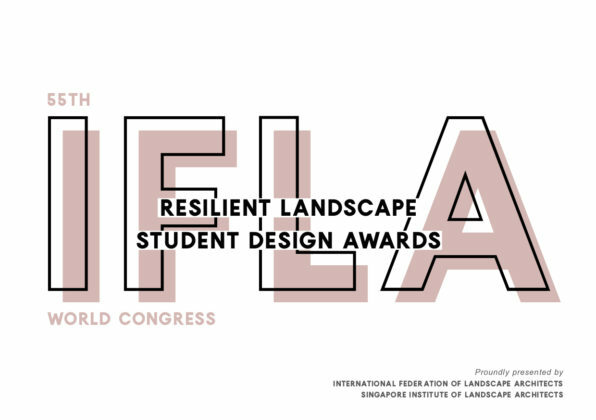 Students are invited to address the theme “Resilient Landscape” by exploring ways in which it can be interpreted, and it is not limited to the following; preventive, anticipatory, mitigation and adaptive design solutions or propositions towards improving the resiliency of cities through landscape architecture. 2 Student designs may apply to specific landscape sites and challenges they are familiar with, or to prototypical landscapes. Students are free to select the context, site and scale of their projects. For more information download the brief here. Institution: Beijing Forestry University, China. IFLA was incredibly heartened and impressed to not only see the number of entries into the competition but also the high quality of the submissions. It sends its sincere congratulations to all who entered. Download the full awards programme and catalogue here.